Note For Mobile Users: Portions of this page contains code examples. To best view this page you should turn your device to landscape mode. 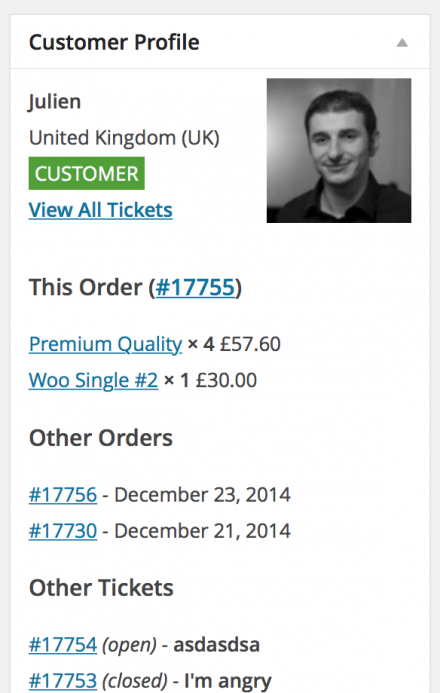 The Awesome Support WooCommerce Extension (ASWC) does a few different things. 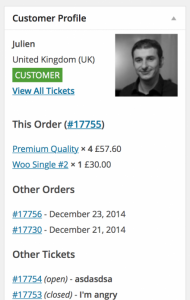 By default, WooCommerce Awesome Support limits the creation of new tickets to paying customers. However, you may want to allow non-customers to open a ticket. How can I let customers choose orders for other order statuses? As of 1.1.0, only completed, processing and on-hold orders appear in a new ticket’s order custom field list. Additionally, the get help button only appears for orders with those statuses. Why am I unable to see the ‘New Ticket’ form? Probably because you’re an admin or agent! How can I make the order number field optional on tickets? How can I change the ‘Order’ text to be something else?